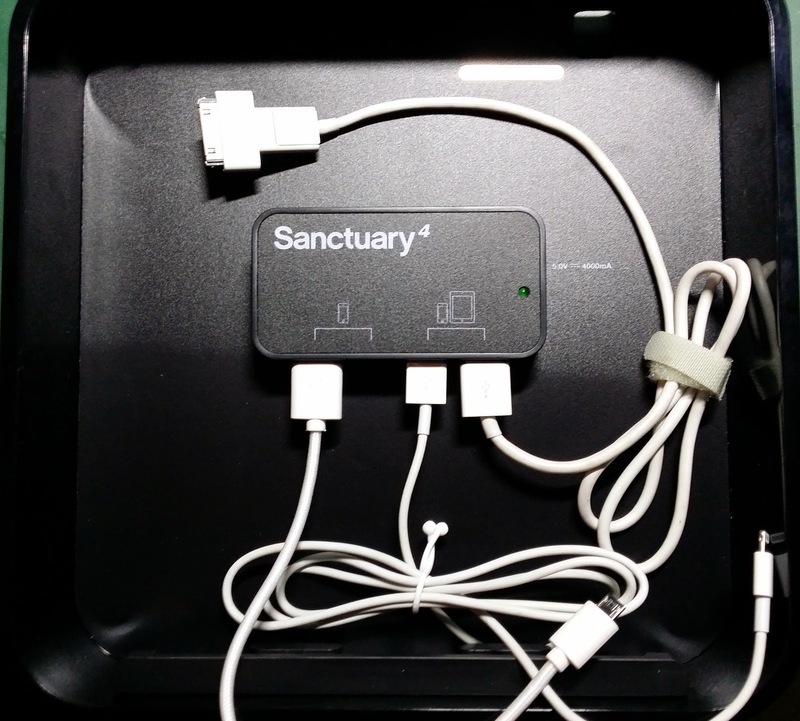 I blogged about the Apple OEM 15W 4-USB Desktop charger here. Although a good product to have around the house, it presents a messy problem. 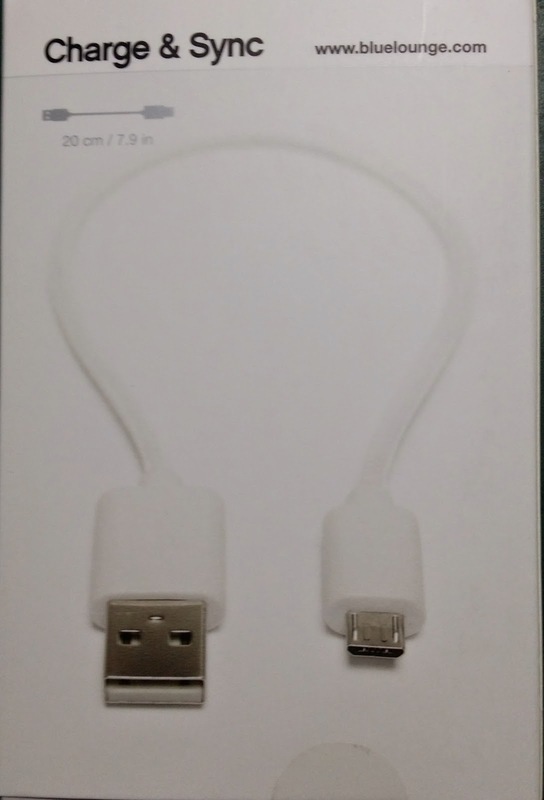 USB Cables are all over the place. 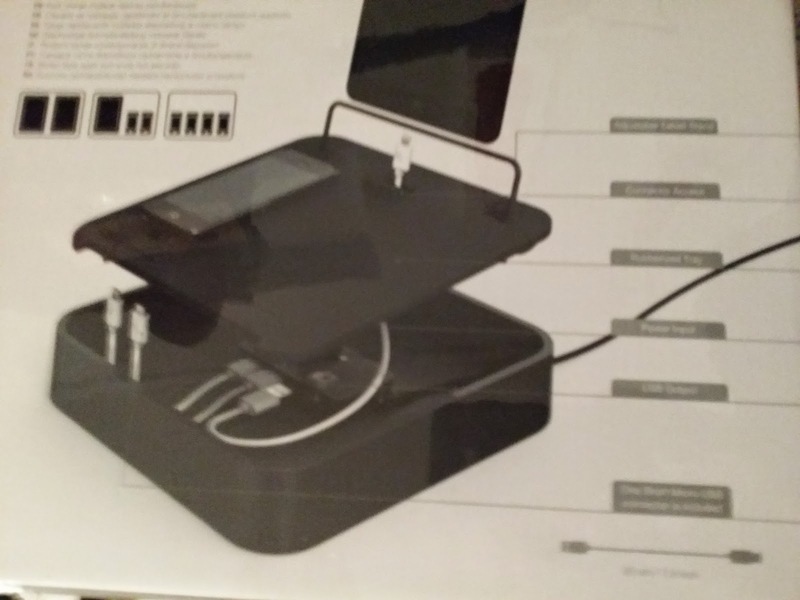 From the photo below, I've used only 2 ports and it is already an eyesore. 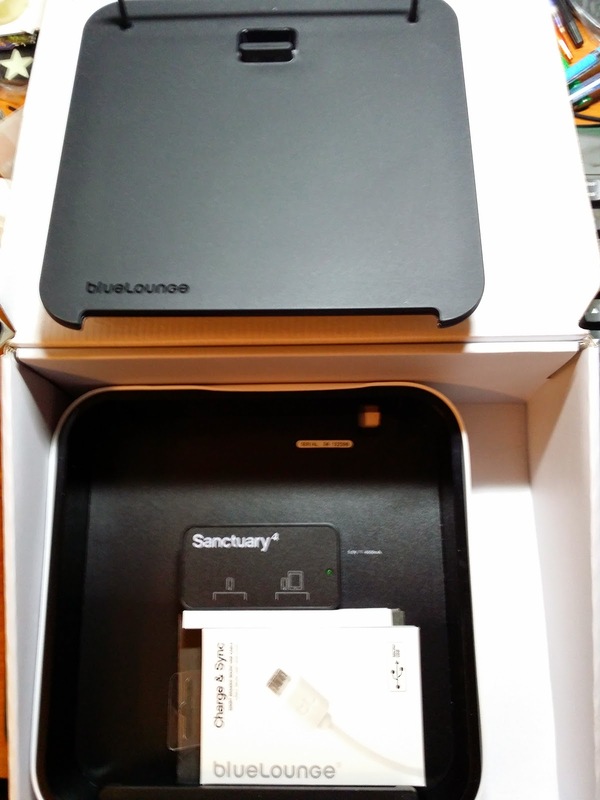 I bought the Bluelouge Santuary4 to replace the Apple 4 USB Port cable messy problem from Omigo. 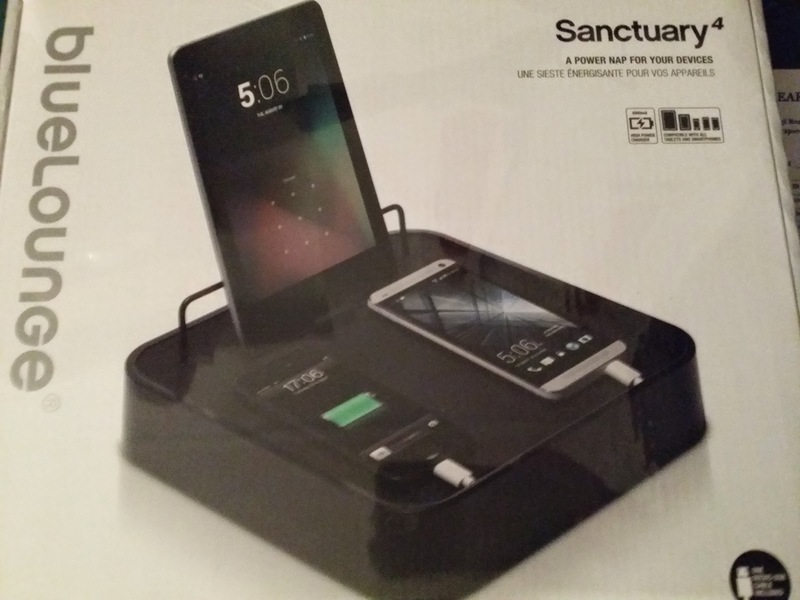 The normal price for the Santuary4 is SGD139 but there is a 20% off. So the final price is SGD111.20 which is a good deal. 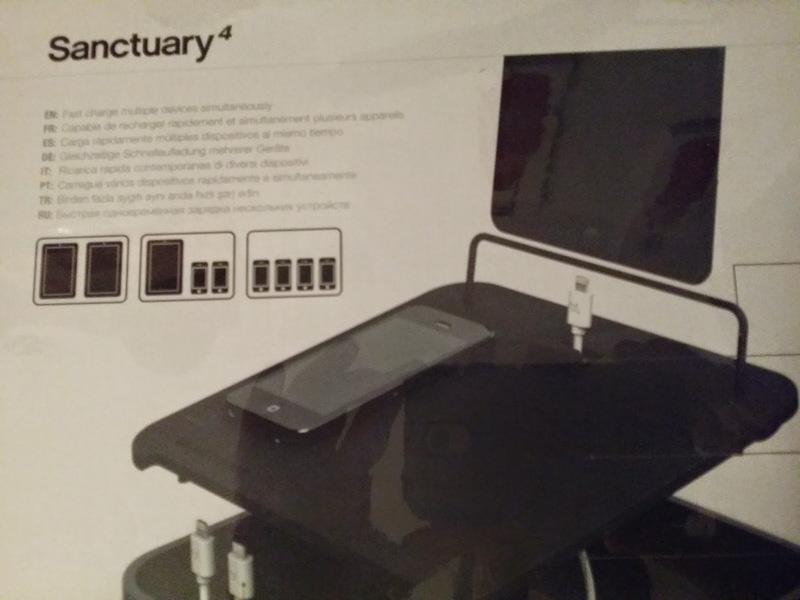 Because it is a local website, I ordered on the 17th Nov 2014 and it arrived the next day. 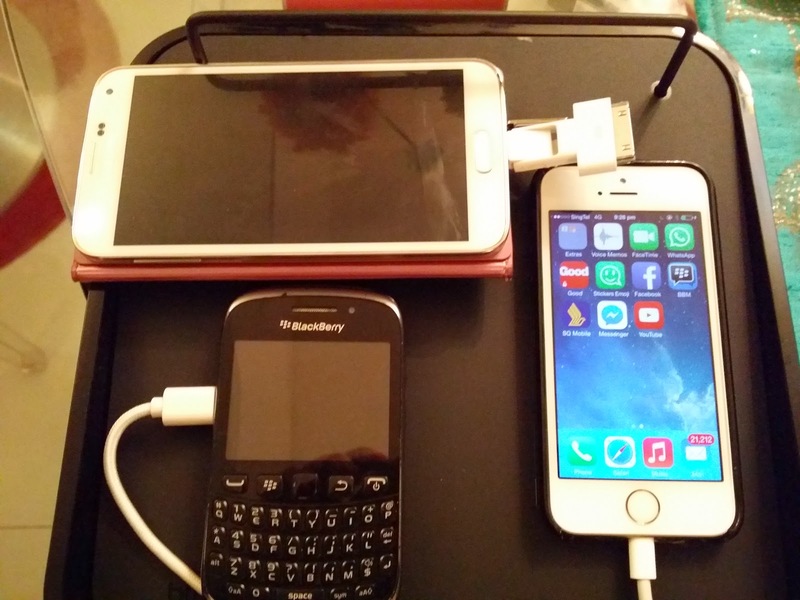 To charge multiple devices simultaneously. 4th version? 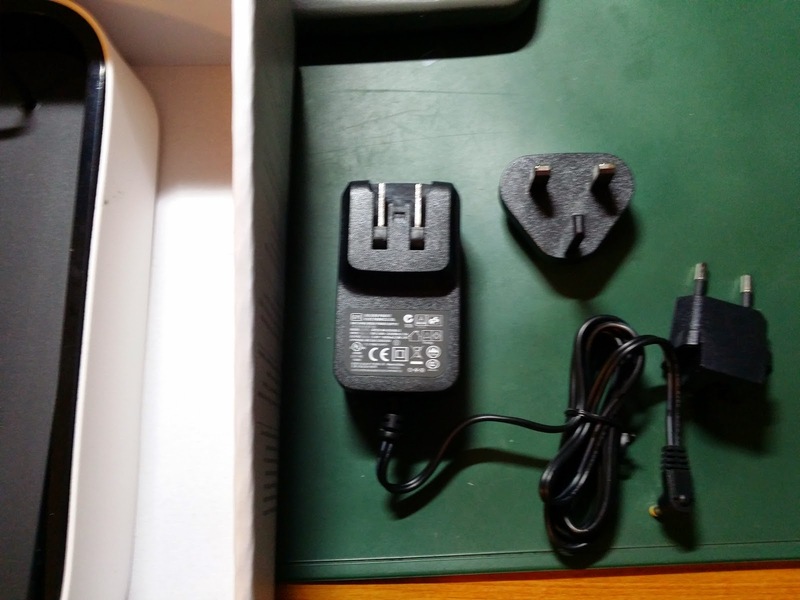 The plug with additional adaptors. 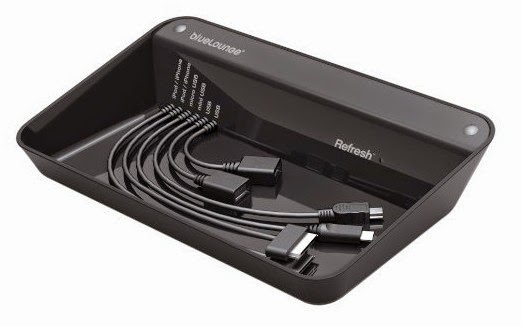 It comes with a complimentary Micro USB cable. Nice!! A short cable, just nice. The charging unit is below the panel. 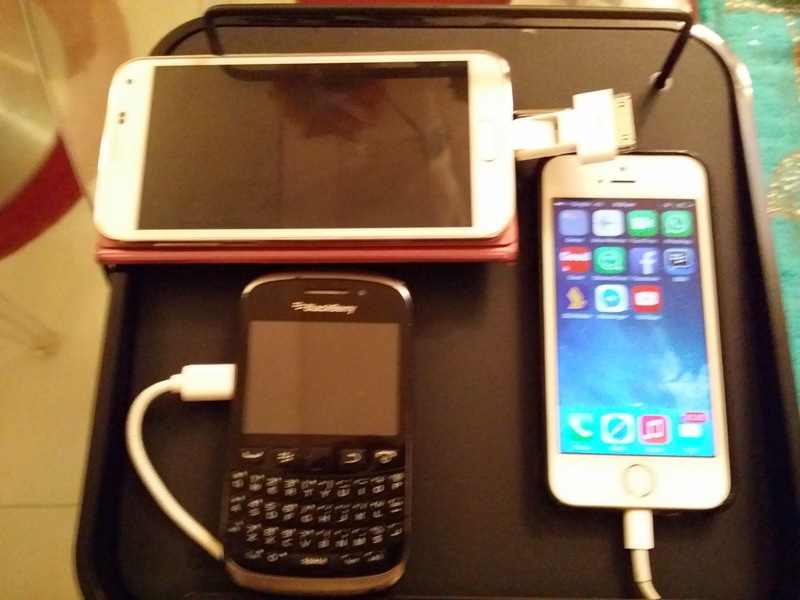 ..mobile devices go on top. Cables hidden. 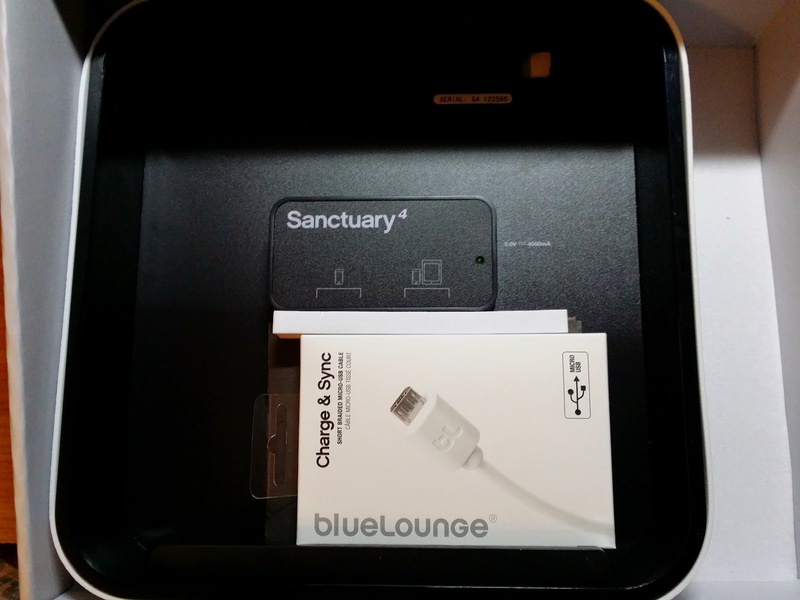 I do not know why Bluelounge labeled this as the 4th version / generation Sanctuary. There was only one previous Sanctuary. 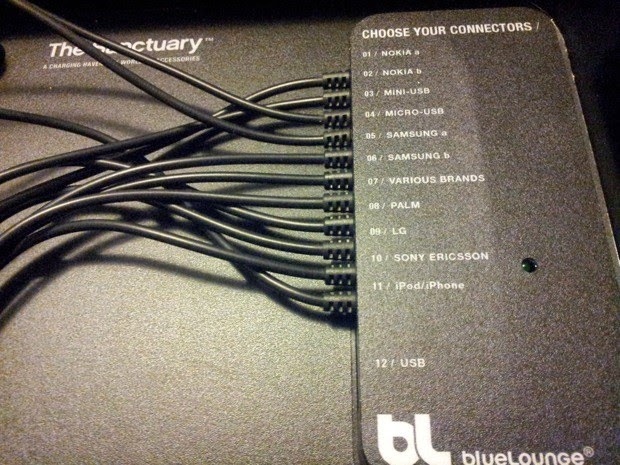 Bluelounge provided dedicated charging cable for the Sanctuary Version 1. There are a couple of redundant cables here. 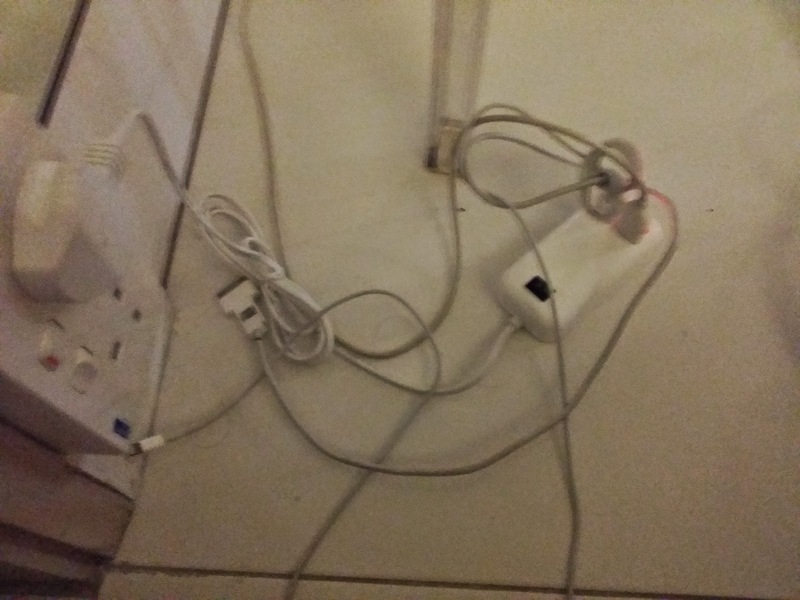 Charging cables are less but still dedicated. But it seems a bit cramped? 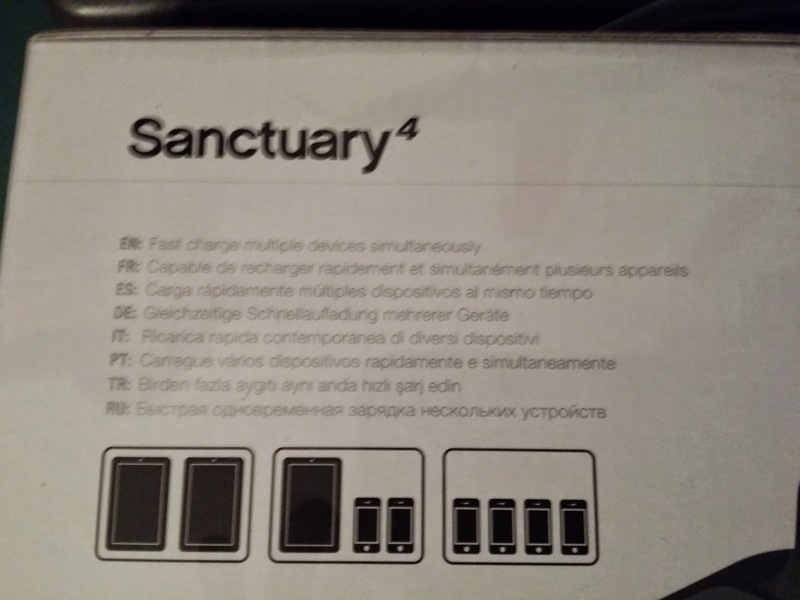 So I can see the Sanctuary4 is a combination of both the 1st Sanctuary and the Refresh. They have done away with the dedicated cable and provided a bit more space, including catering for tablets by provided a back stand. 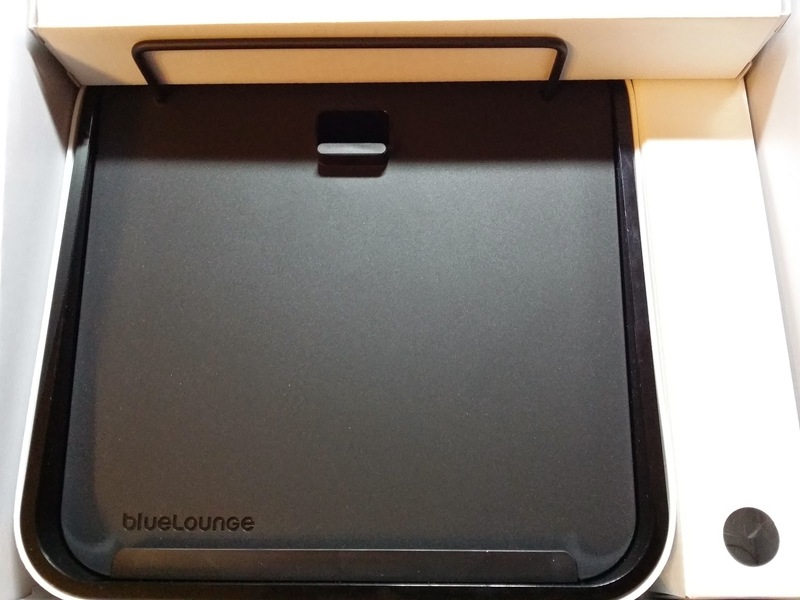 Overall, a good product from Bluelounge with a lot of consideration given for their users.